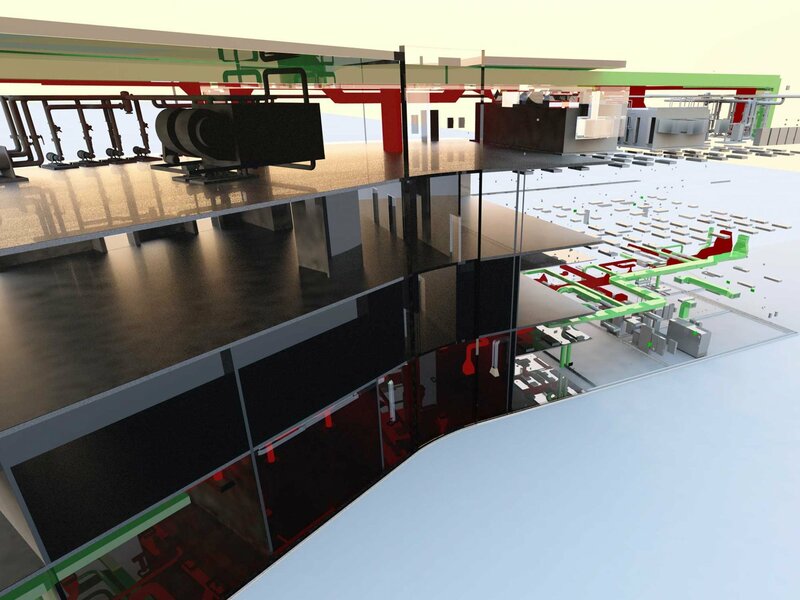 Building Information Modeling (BIM) is an innovative method to seamlessly bridge communication within the Architecture, Engineering and Construction communities. 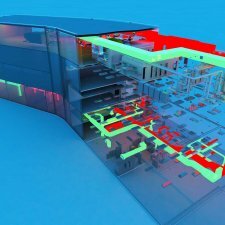 The term "BIM" means different things to different firms. 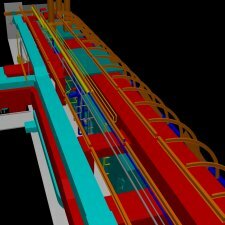 We at M/E think the emphasis needs to be placed on the "I" in "BIM" - Information. 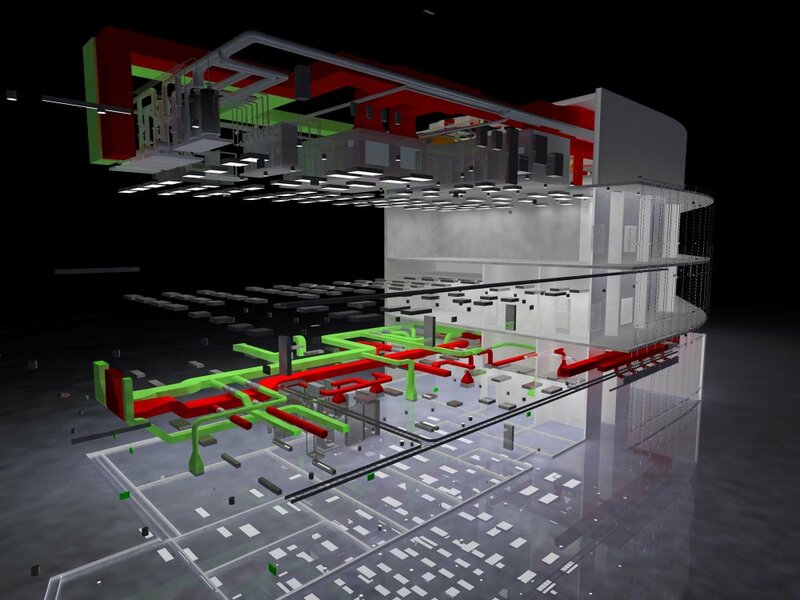 That information can be graphical or non-graphical and contained directly in the building model or accessible through linked data stored elsewhere. 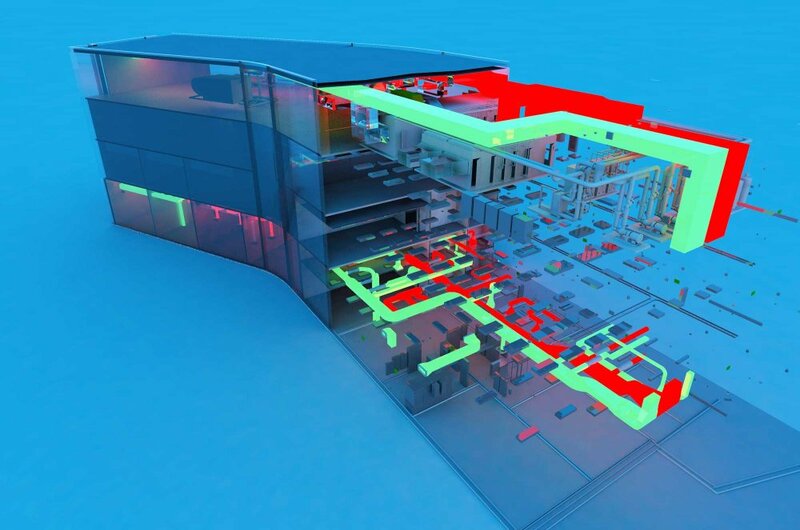 The ability to integrate the design and engineering process through information contained on the documents is what separates BIM from just another drawing tool. 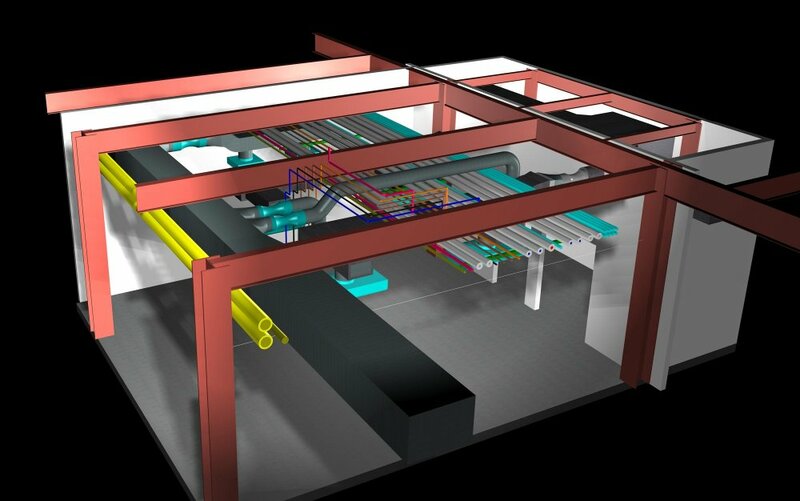 3-D modeling of MEP systems using AutoDesk Revit or Bentley Mechanical Systems. 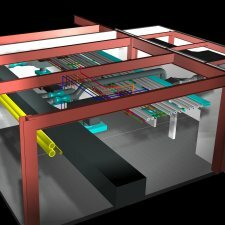 Use of Computational Fluid Dynamics (CFD) Modeling with the 3-D design model to calculate air movement, temperatures, humidity levels and chemical or particulate migration both inside and outside the building. 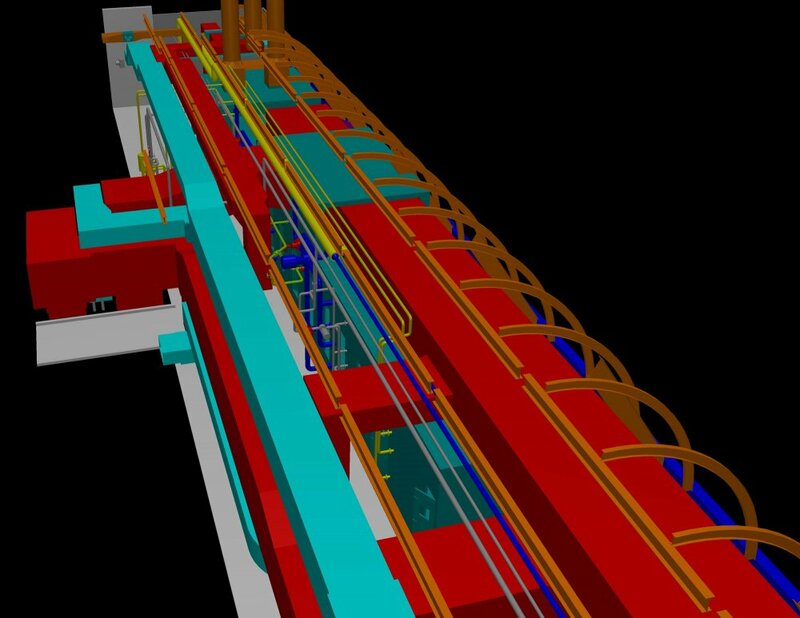 Use of component attributes to allow for product schedule development, cost estimating and linking with shop drawing review/O&M manuals.